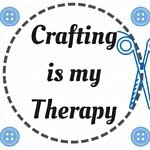 I'm a huge fan of nostalgia. If there's one time of year where people feel nostalgic, it's Christmas. 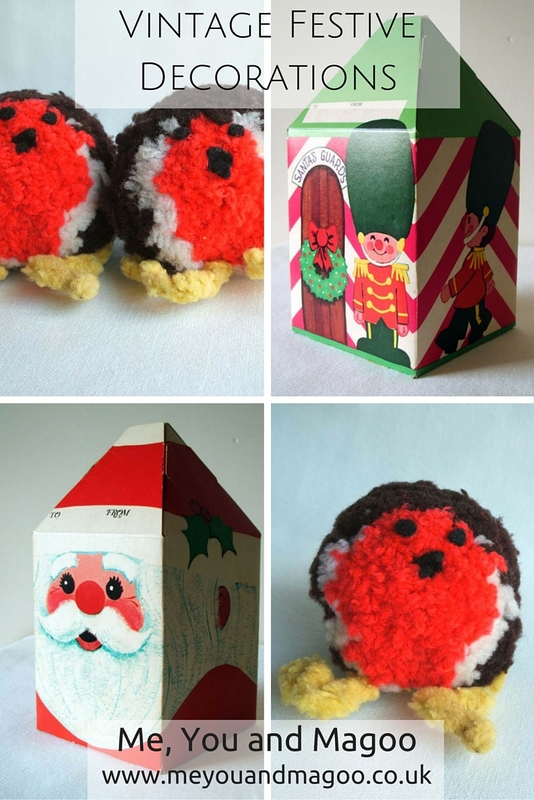 These decorations were bought out of the loft every single year when I was growing up. 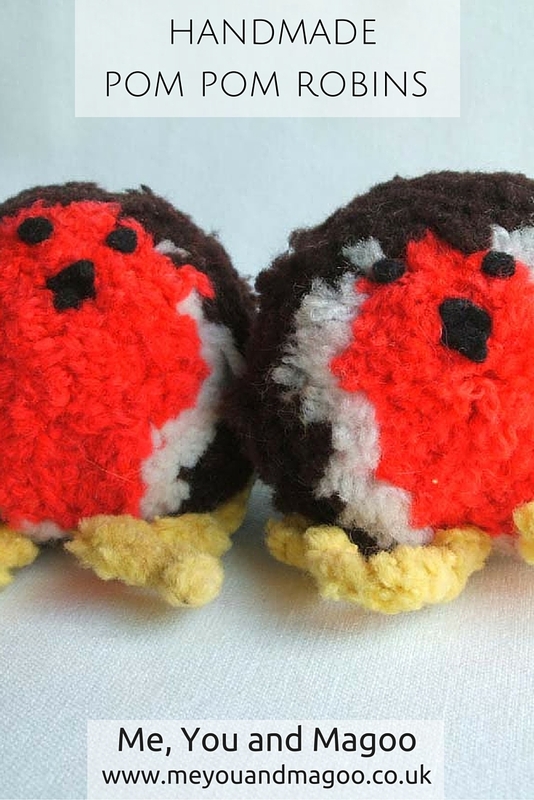 The pom pom robins were made by my Mum before I was born, so they are at least 35 years old. They still look in good condition considering their age. It probably has something to do with the fact that we were under strict instructions as kids to never to touch them! 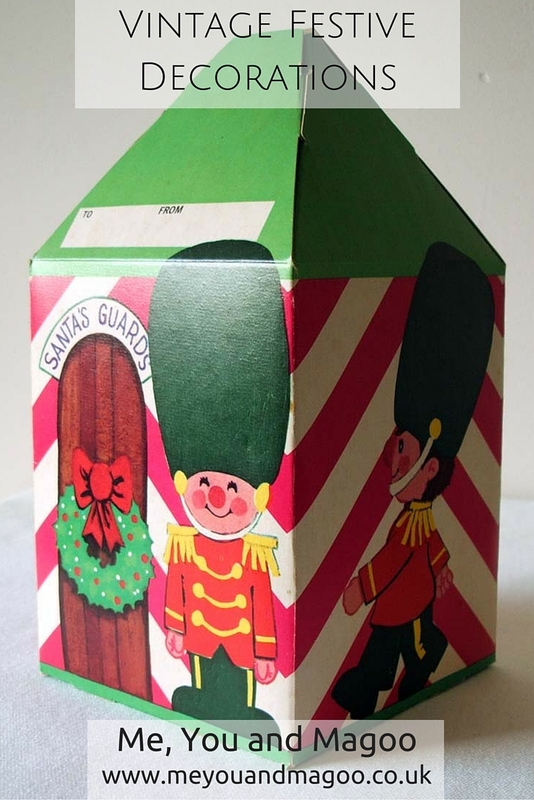 The cardboard gift boxes are also a Christmas decoration from my childhood, they are at least 30 years old. Mum would put them under the tree with gifts in. 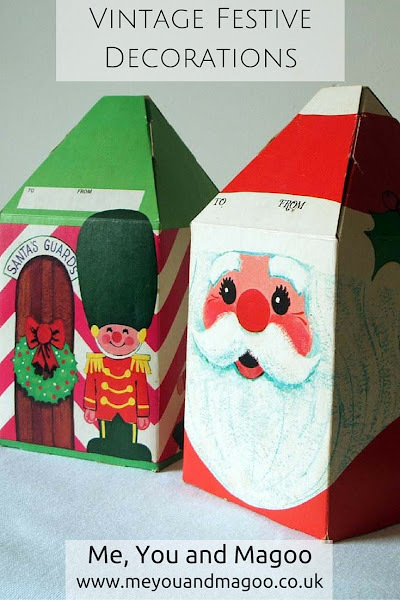 Somehow they managed to survive years of manhandling by me and my brother, eager to get at the presents inside them.